Outside the Box: Outlawz Progressive Challenge for February! I can't believe this is the third progressive challenge at the Outlawz! If you have been playing along since the beginning you will have seen the huge amount of people who have joined us and we are so happy to have so many members joining us each month! This month our sponsor is Sandi's Samples and not only has she given us this wonderful digi she has also give us a prize of three digis from her store! 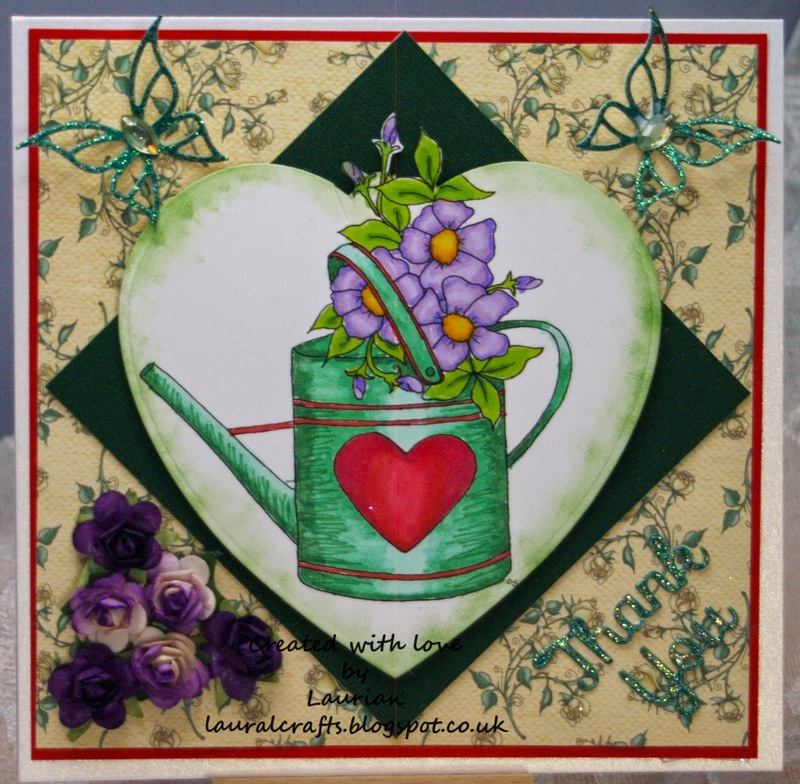 I coloured the image with Promarkers then cut it out with a heart shaped die and stipple inked around the edges, it is layered onto some dark green silk covered card - it is actually quite luxurious in real life! The background paper is from my stash and about 10 years old, lol. I added some glittery butterflies cut with a die from Joanna Sheen, a die cut Thank You and some purple roses. If you've not seen the challenge before pop over to the Outlawz (click the tab at the top of the page) and join us!